World of Warcraft Drops to 7.7 Million Subscribers. It Seems That Some People Are Remembering That There Is Life Outside… And Girls. In the month of March Blizzard reported that over 8.2 million people had active subscriptions to World of Warcraft. Though it is now being revealed that the mammoth MMO is now currently holding 7.7 million subscribers. 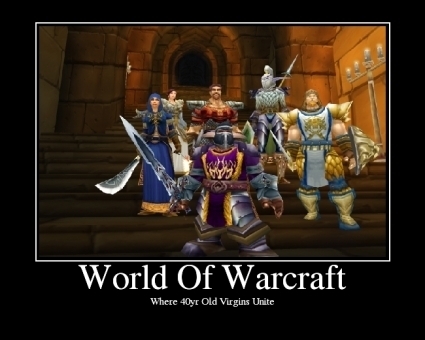 That would mean in the last three months over 500,000 adventurers have left the realm of Azeroth. That may seem like a significant hit, But i don’t think Activision Blizzard is all that worried. CEO Bobby Kotick has stated that the company expects to see the number of subscribers fall throughout the year. But added a reminder that WOW remains the most popular subscription-based MMO today. PS. 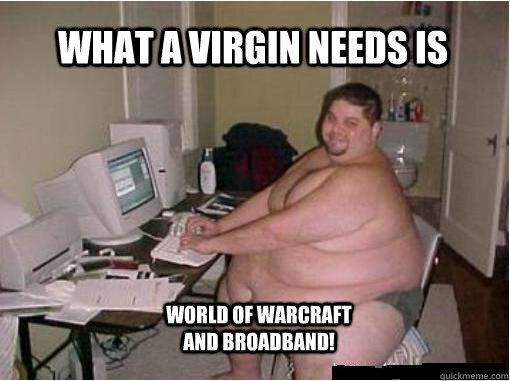 I know that not all WOW players are guys…. Or virgins. ← Every Xbox One Could Be Used As A Development Kit.